If you’re looking for a wonderful way to teach your toddler or preschooler their numbers and letters, these Alphabet Emboss Painting Activities for kids involves fine motor skills, art and learning. The Jenny Evolution welcomes fellow blogger Tarana from Sand In My Toes, who is sharing her inventive painting activity for her own toddler. I’m always looking for ways to teach my three-year old to recognize his numbers and letters. Recently, we’ve started focusing on letter writing as well. He isn’t always keen on working with a pencil, so I thought I’d make it fun by doing a painting activity. This was also the first time we tried painting on a new medium – foil, and we loved it! 1. 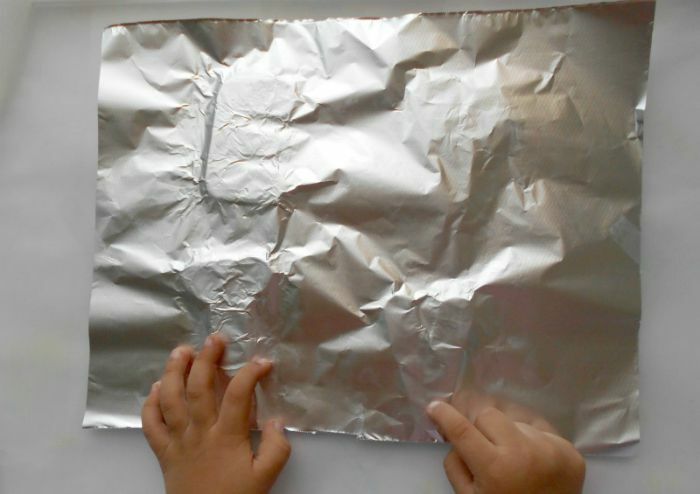 First, I placed four letters on a tray and then covered it with a sheet of foil. I taped it in place on the sides. 2. We slowly traced the letters underneath with our fingers, and they began to take shape. 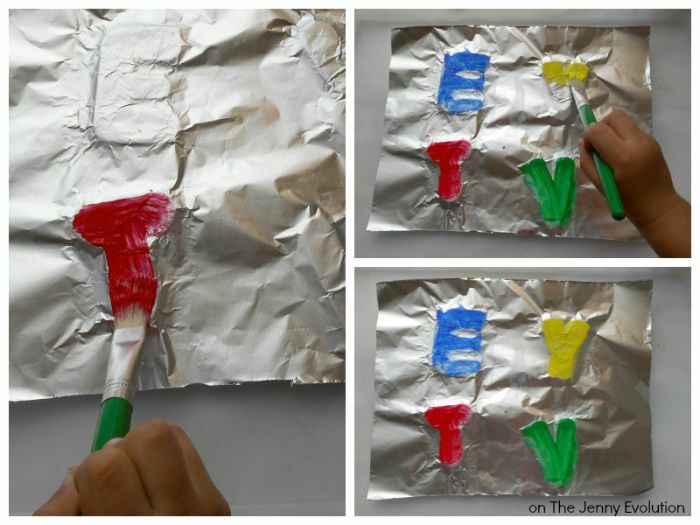 This was fun, and my son liked how the letters seemed to magically appear on the foil! I had to help him a little with this to properly emboss the letters so they were clear. 3. Next, I asked him to draw over the letters with a paintbrush. This was a great learning opportunity as we counted the number and type of lines in each letter, and how they should be drawn. He loved this activity so much that we did several more letters! 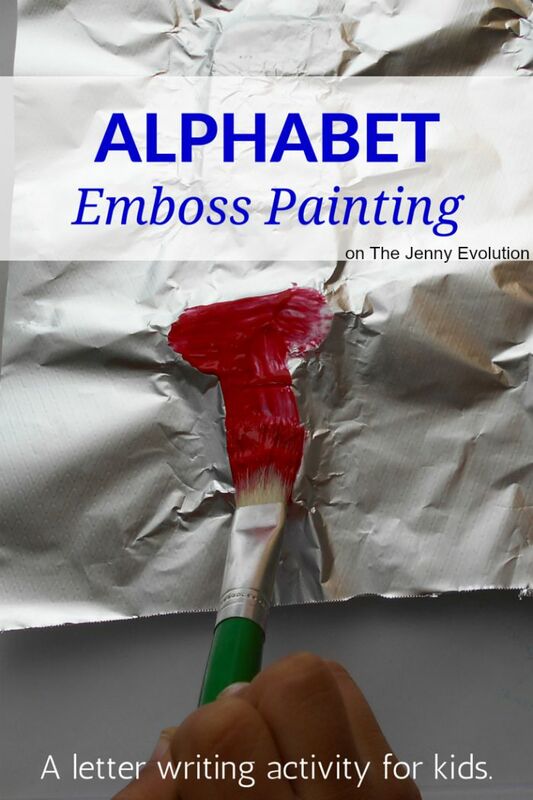 You could also try the Emboss Painting activity with numbers or shapes. It’s a fun way to introduce writing to toddlers or preschoolers or just for practice! Find even more alphabet fun on Mommy Evolution! Tarana Khan is an expat mom to a toddler. She loves writing and has done her stints as a copywriter, reporter and content editor, before embracing parenthood full time. 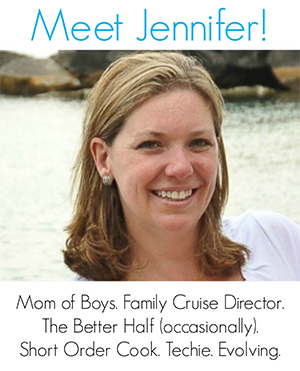 She blogs at Sand In My Toes, where you can drop by to read more of her parenting and other adventures! Tarana also has a series called Busy Hands where you can find more activities and craft for toddlers and preschoolers. Thank you for featuring our activity, we loved doing it! Cool idea, Tarana! As a graphic designer, I’m all about embossing 🙂 I think I’ll try this with my kiddos today using their bath foam letters. Isn’t this an inventive idea? 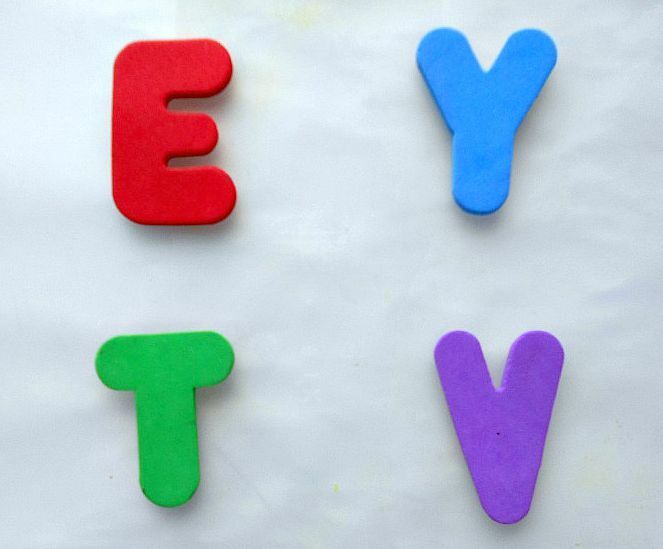 What a terrific way to get those kids practicing their letters… wish I had thought of this. Ha!